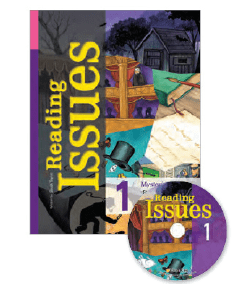 Reading Issues is a series designed for learners at the high-intermediate level to complete high-quality reading activities for critical-thinking skills. 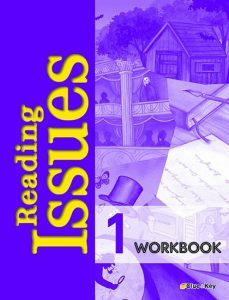 Most of the reading passages and questions in this series involve the use of deductive reasoning, logical inference, and sequential analysis. 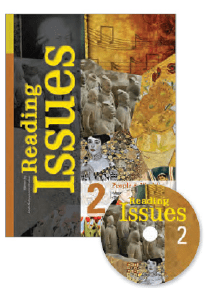 These materials are highly effective and applicable for learners as they cover contemporary interesting topics which stimulate their curiosity. 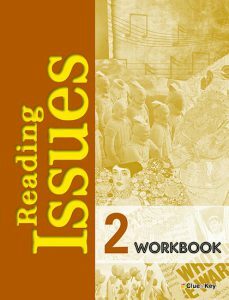 This series also provides learners with the opportunity to achieve higher level of literacy while expanding their general knowledge. 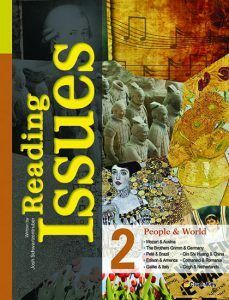 A broad range of topics: mysteries, people, science, culture, politics, etc. 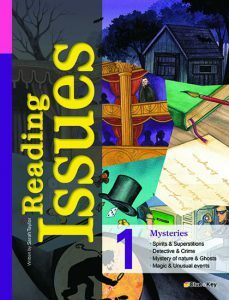 A variety of genres: horror, detective stories, biographies, magazine articles, etc.